M. Scott Havens, President of The Atlantic announced today that Anna Bross has been named Senior Director of Communications for the magazine. 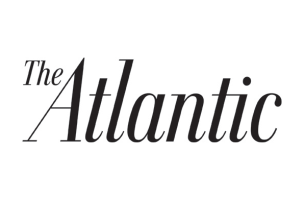 Bross will oversee all media and public relations for The Atlantic, which include the magazine, its three websites – TheAtlantic.com, The Wire, and The Atlantic Cities – and the brand’s live events division, AtlanticLIVE. Bross comes to The Atlantic from NPR, where she has been since 2007, most recently as Director of Media Relations. Prior to that, she was the Senior Publicist for WHYY in Philadelphia, handling publicity for Terry Gross and “Fresh Air.” She will be based in The Atlantic‘s Washington, DC headquarters and will report to Emily Lenzner, Atlantic Media Vice President of Global Communications. Her first day is February 20. Join us in congratulating Anna on her new job!